Ever since USA's Mr. Robot came onto the TV scene, many have become infatuated with the drama series that makes viewers' heads spin. 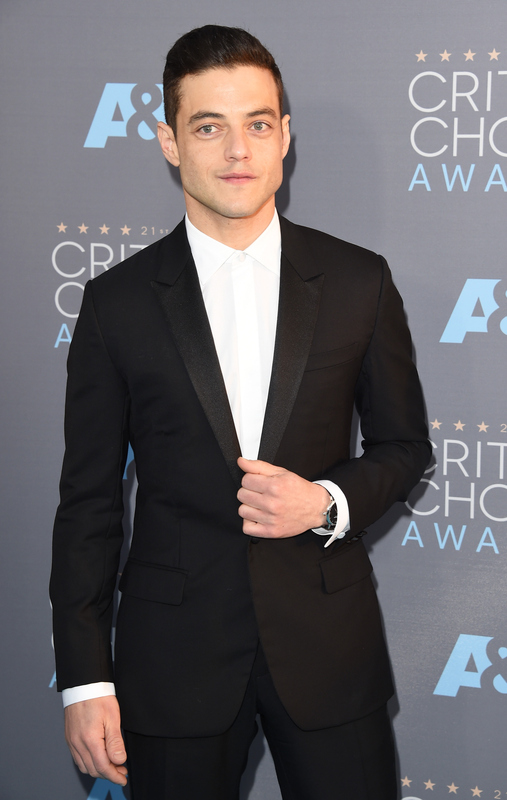 Plus, fans can't get enough of star Rami Malek who brings Elliot Alderson to life. Not only is the 34-year-old actor a pleasure to watch in every episode, but he has quickly become a Hollywood heartthrob meaning people want to know all about his personal life. For instance, did you know Rami has an identical twin, Sami Malek? If you didn't know, now you do. I'm sure you're a bit shocked to hear the news, because now you know there are two people who look like the award-winning actor walking around this Earth. I know, it's more than just a little exciting, isn't it? That said, they are clearly two separate individuals, with Sami being so much more than just someone who looks like his TV star brother. As I hope everyone recognizes in this day and age, a person isn't defined by their looks, even if they resemble a huge celebrity. Take Sami, when he isn't busy being mistaken for his brother (or so I assume), he is teaching. That's right, according to Vulture, Sami is a teacher. It appears he teaches in Los Angeles. Based on a 2011 essay he wrote about the California budget crisis, Sami is a middle school ESL teacher at Joseph Le Conte Middle School. Per his written piece, and after doing some math, Sami has been teaching for a total of 13 years. "It may come as a surprise, but going back to school can induce just as much anxiety, apprehension, and fear for teachers as it does for students," he wrote. "I am about to start my eighth school year as a teacher, which would make it my twenty-sixth if you add my years as a student. This year however, there is no place for trepidation. Relief has replaced fear. I have a job to return to. This is not the case for many of my colleagues, and more importantly, my friends." He is clearly passionate about his profession and enjoys every moment of it, save for the troubles that come with it, like lay offs. I guess you could say that Sami is influencing lives just like his brother, but they obviously do it in very different ways. Thank you, Sami, for educating others and guiding youth in the right direction. Plus, I'm sure they're thanking him as well, you know, for both his amazing teaching skills and the fact that they can brag, "My teach is Mr. Robot star Rami Malek's twin brother."